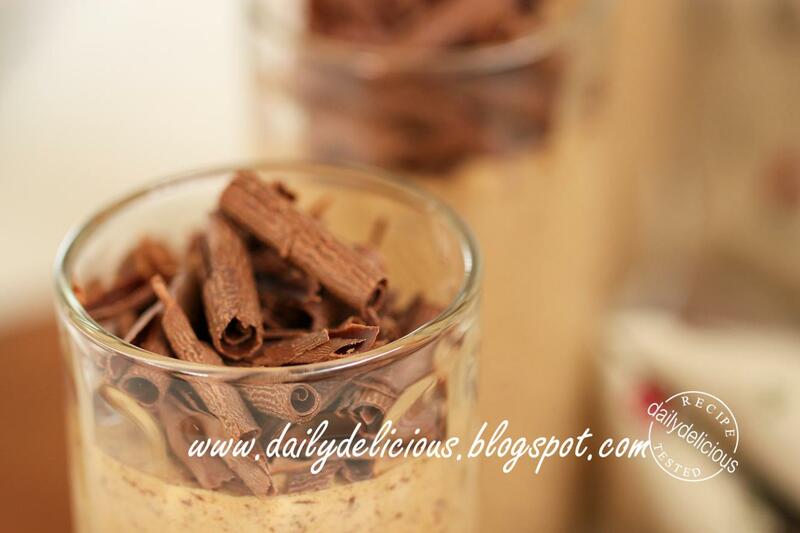 dailydelicious: Chocolate Espresso Mousse: Chocolate + Coffee = Delicious ! 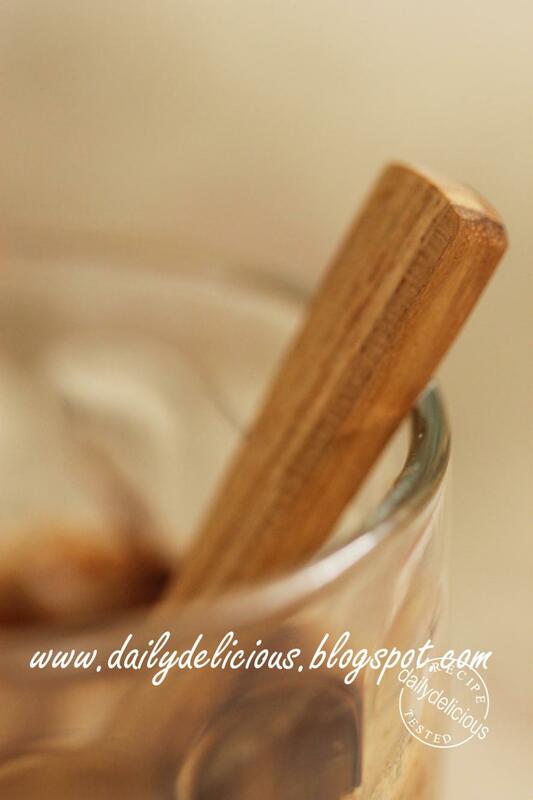 Chocolate Espresso Mousse: Chocolate + Coffee = Delicious ! Close your eyes and follow me, the first thing that you will meet is chocolate and a lot of it, then the coffee will reveal but you will be bring back again with a lot of dark chocolate flakes. The moment that I saw the recipe in the Donna hay magazine, I had this vision in my mind, and it’s the reason for me to buy this magazine. 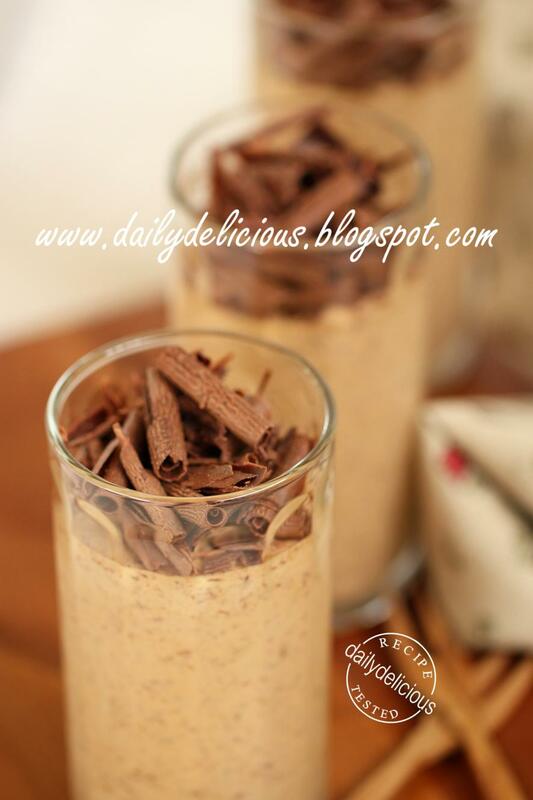 There is something inviting from this simple mousse, it’s the mixture of many ingredients, milk chocolate, dark chocolate, eggs, cream, brown sugar and coffee but at the end they will become one dessert that will make you happy. 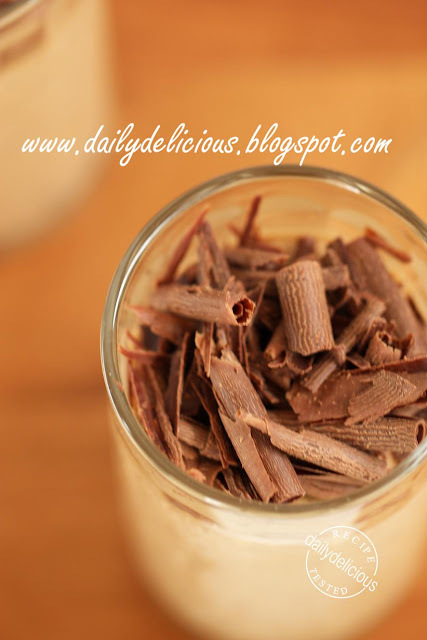 The creaminess of the cream, milk chocolate and egg yolks acts like a base for the mousse and most of the flavor comes from both chocolate flakes and the coffee. 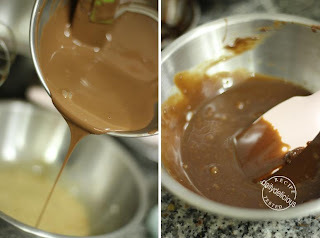 Making chocolate mousse is very easy if you understand that all you have to do is keeping the air (from whipped cream and meringue) in the mousse so do the folding process gently and you will get light and delicious mousse. As this mousse made by folding the meringue into the base, you will be able to keep it for only 1-2 days or the mouse will become firm. But I think if you love chocolate and coffee like me these little glasses won’t have to stay that long in the fridge ^^. Melt milk chocolate, by placing the bowl over a pan of hot water (don’t let the water touch the chocolate bowl), stir until smooth. Make the meringue, by beating the egg whites and brown sugar until soft peaks form, set aside. 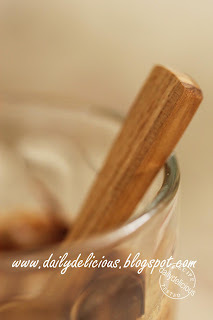 Mix instant coffee and hot water together. 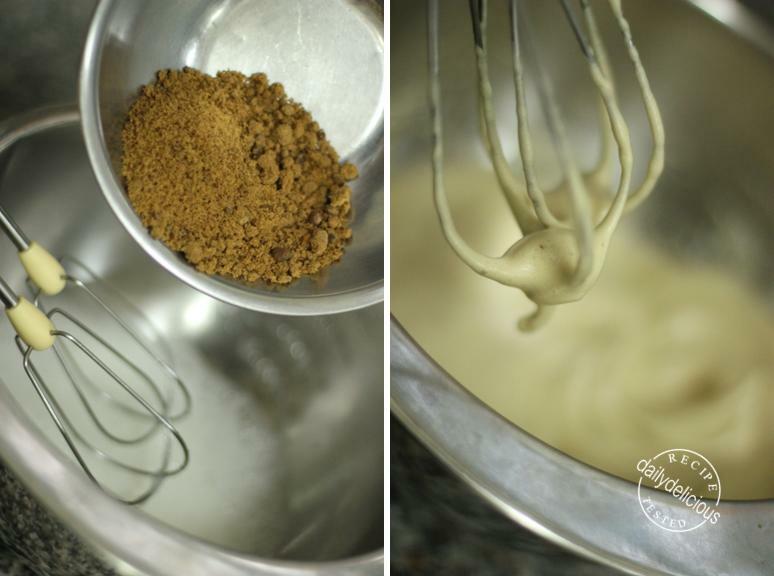 Beat together 50ml of whipping cream with egg yolks and add the coffee mixture, beat to combine. 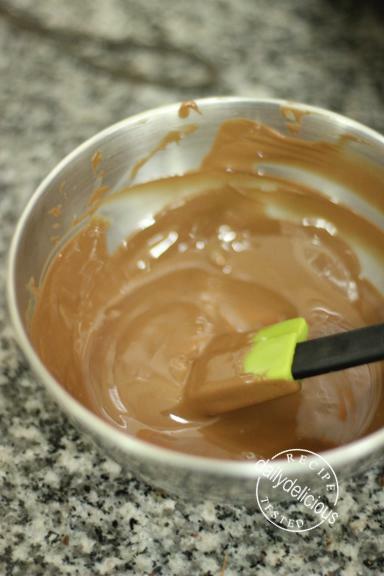 Pour the melted milk chocolate into the yolk and cream mixture, beat until fully combine. Whip the rest of the whipping cream until soft peaks form. Start by folding half of the meringue, and the rest of the meringue with the shaved dark chocolate. Fold whipped cream in 2 additions until combine, divide the mousse into the glasses and refrigerate for 4-6 hours or overnight (depend on how soft you want your mousse to be; longer the mousse will be more firm). Put the dark chocolate on top of the mousse before serving. Omg, damn tempting and irresistible mousse..
That sounds great! I follow you, i trust in you and your wonderful dessert!! It's a really simple recipe but you always are able to make your dessert look soooo delicious! Oh, yes please follow me, ^^. Haha, you had been lured by it, and I think you will love it too, even you don't like coffee. 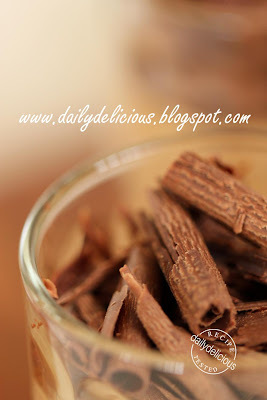 Hi P'Pook, I visit your blog daily and was inspired a few times to try the recipes you posted. I recently made this dessert and it turned out really delicious! Thanks for sharing it na!